Filmmaker Michael Moore wants to tap a Hollywood legend for a White House run: Tom Hanks. (NEW YORK) — Filmmaker Michael Moore wants to tap a Hollywood legend for a White House run: Tom Hanks. When Travers asked Moore whom he would choose as the next Democratic presidential nominee, Moore instantly had an answer. For his newest film, Fahrenheit 11/9, Moore spoke to Americans across the country about their thoughts on the Trump presidency. The date in the title refers to the day President Trump’s victory in the 2016 election was confirmed, and is play on the title of Moore’s 2004 film Fahrenheit 9/11, about then-President George W. Bush, the 9/11 attacks and the second Iraq war. 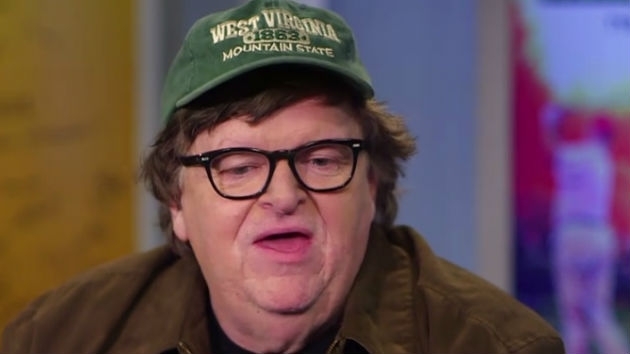 Moore was one of the few who predicted Donald Trump would win the election and said Trump could even be a two-term president. Fahrenheit 11/9 is in theaters everywhere.